A Premium user can downgrade plan to Advance or Basic. Click the Settings tab on the left navigation plane, click Change/Update Plan button. 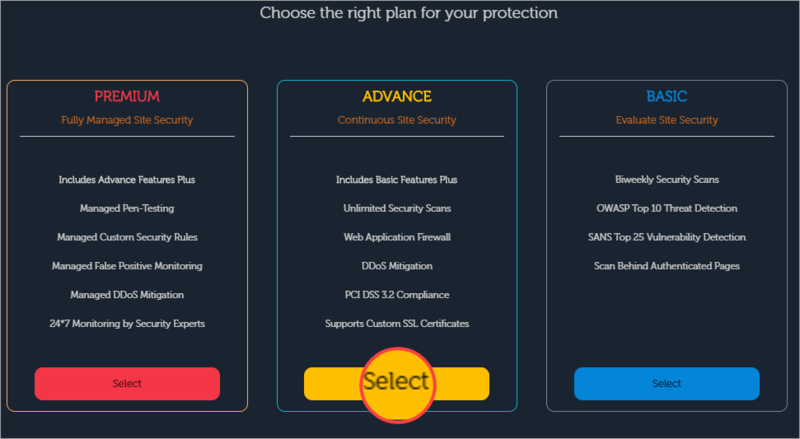 Click Select button in the ADVANCE option to continue with the Advance plan. The Payment Type page appears. By default, a Premium plan can only be updated into an Advance Paid plan as there is no trail included. 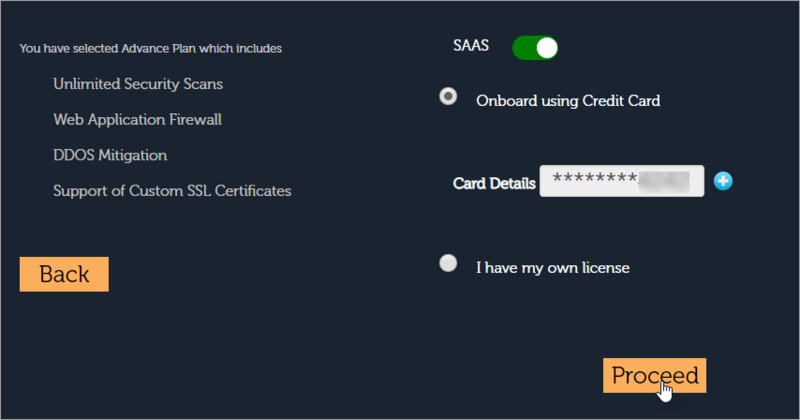 For a SAAS Website, both Credit Card and License options are available. The roll-over Toggle Button doesn't work as it's change plan. Click Onboard using Credit Card button. Card Details option appears. Click Proceed button to continue with existing card otherwise click Add button. Click Add button to add a new credit card. Enter your card details pop-up appears. Enter your Credit Card details and click the Subscribe button. Success message is displayed on the top. Click Proceed button to continue with credit card. Confirmation page appears. Click Confirm button to continue with the Advance plan. Thank you for Subscribing page appears. A success pop-up message is displayed on Settings page, if change plan is successful. Updated plan of the website is displayed in the Dashboard page as well as Settings page. With a successful entry, a pop-up message displays as Promo Code has been successfully added. Click Cross symbol to close the pop-up. 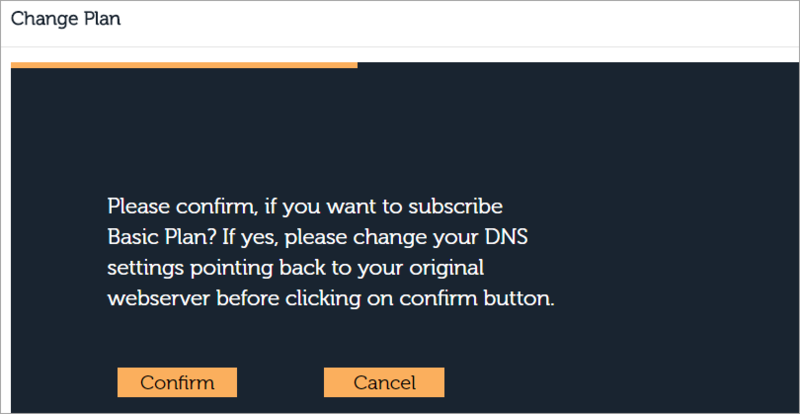 To subscribe Basic Plan, change DNS settings as mentioned in the Confirmation page. 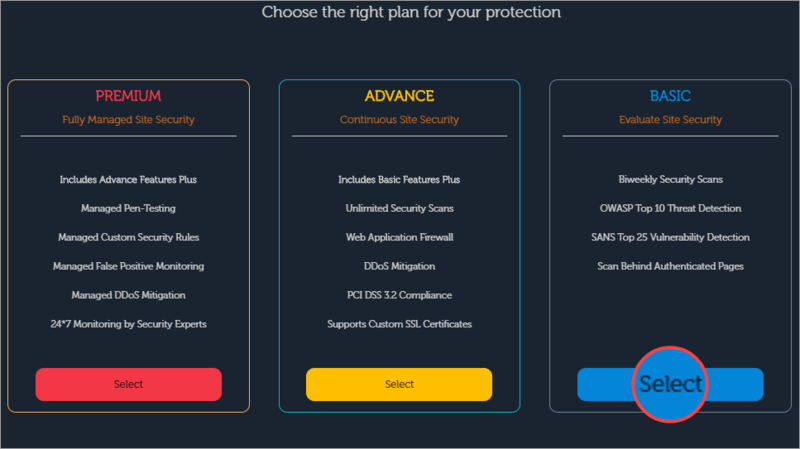 The downgrade process to Basic plan is same for SAAS and Non-SAAS websites. Click Confirm button to proceed. 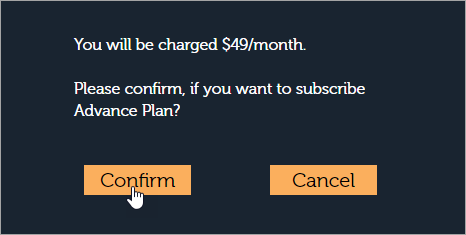 Thank you for subscription page appears, click OK button. Updated plan of the website is displayed in the Dashboard as well as Settings page.